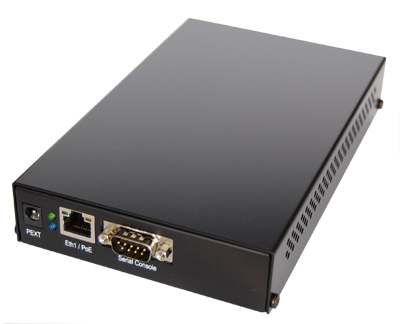 This assembled Mikrotik Routerboard 411AR comes assembled with a stylish indoor case and the options of your choice. Includes a level 4 RouterOS license and a built in 100mW 802.11b+g (WiFi) radio with MMCX connector. (An additional radio card can be added.) It makes a fantastic low cost hotspot router and controller. Fully managed with SPI firewall and vpn support. Management from GUI or CLI with access through web, telnet, or ssh. This powerful Linux based device makes an excellent low cost hotspot access point and controller combo. Can also be powered on eth1 by passive POE from 10 to 28 vdc (midspan device - power on unused pairs). Add a power supply, additional radio card, and one or two antennas or pigtails as needed.